NIFS Nutrition News: Is It Possible to Do a “Safe” Juice Cleanse? 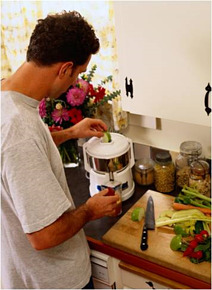 Juicing is the process of extracting juice from the flesh or the pulp of a fruit or vegetable. This technique has been used for hundreds of years as a way to maximize nutrient intake by drinking only the juice of various vegetables and fruits. I wanted to get the New Year off to a healthy start and reset my digestive system, so I researched how to complete a “safe” juice cleanse. The idea of a juice cleanse is pretty simple: all meals and snacks are replaced with juices made from (preferably organic) fruits and vegetables for three to ten days. The main health advantage of a juice cleanse is based on the theory that our bodies are more efficient at metabolizing and excreting toxins when our digestive system is freed from the burden of digesting solid food. It is an easy way to get your recommended daily servings of fruits and veggies. Since your digestive system does not have to break down the pulp or flesh of the fruit or vegetables, your body rapidly absorbs the vitamins, antioxidants, minerals, enzymes, carbohydrates, chlorophyll, and phytonutrients. This is thought to boost your immune system and prevent disease. Juicing experts believe these nutrients are better absorbed when separated from fiber (most juicers remove the pulp, aka fiber). My energy did increase, but the first day was rough…I was pretty hungry and grouchy. After three days, I missed food, so I slowly added it back into my diet by eating meals that included whole fruits and veggies, lean protein, and some whole grains. 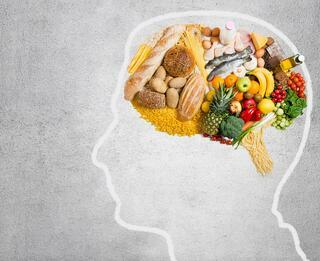 My stomach would ache if I ate processed foods. Even though weight loss was not my goal, I did lose several pounds of water weight. This was expected since our bodies require water to properly digest whole food; if you take away the whole food, your body doesn’t require as much water to complete the digestion process. This can translate to a drop on the scale. However, once you start eating whole food again, the water weight will come right back. (This is a major reason why weight loss should not be a main goal of a juice cleanse. As a Registered Dietitian in corporate wellness, I would only recommend a juice cleanse for a maximum of three days as way to “jump start” habits of eating more whole foods and less processed items. Juice cleanses that last longer than three days can cause extreme moodiness, irritability, depression, fatigue, constipation, constant/obsessive thoughts of food, and rebound overeating. Individuals who take medication to regulate their blood sugar or blood pressure should be cautious and consult with their physician before beginning a juice cleanse. Blood sugar levels can quickly rise and fall when drinking juice, and a lack of solid food can cause low blood pressure, dizziness, or fainting. Cleanses are strictly off limits to children or to women who are pregnant or breastfeeding. If your goal is to eat healthy, you don't need to juice as a way to cleanse or detox your body. Juicing can be an easy way to get in your greens (for instance, without having to eat fistfuls of kale), but juices should be used to complement a balanced diet that includes minimally processed foods, good-quality lean protein, and plenty of whole fruits and vegetables—which, ironically, are the real cleansers. The fiber found in whole fruits and vegetables act like a scrub brush for your digestive tract. Bottom line, although a juice cleanse could feel like a psychological jump-start to healthy eating, it is not a solution for long-term wellness. Simply put, being healthy is a lifestyle event, not a three- or ten-day adventure. *Recipes were found on Reboot with Joe or in The Big Book of Juices by Natalie Savona. 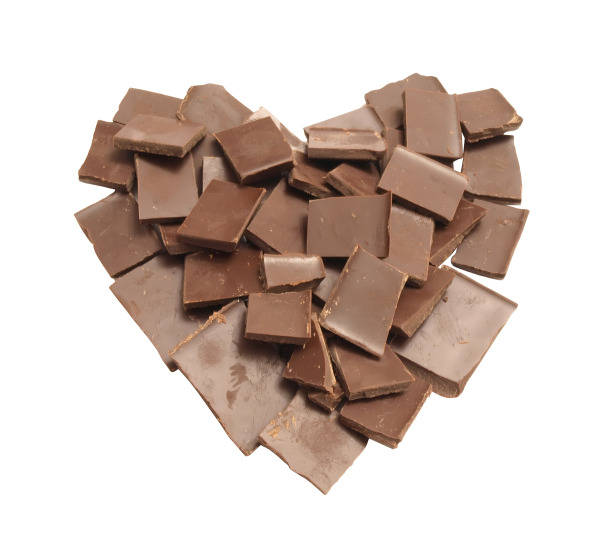 It’s Valentine’s Day… the chocolate lover’s favorite holiday! With boxes of chocolate at home and bowls of goodies at the worksite, you can’t help but indulge. You’ve heard it all before: dark chocolate is better for you than milk chocolate, everything in moderation, and so on, but is one really better for employee health than the other? Let’s divvy up the facts before we divvy up the chocolate. We know that chocolate is derived from the cocoa bean, but where do the health benefits come from? Antioxidants: A high concentration of antioxidants has been proven to come from the cocoa bean. These chemicals aid the body in eliminating free radicals that promote disease and cause damage to the cells in your body. Flavonoids: Epicatechin, which is found in the cocoa bean, helps to improve cardiovascular function by improving blood circulation and relaxation of the blood vessels, which in turn helps to improve blood pressure. A chocolate a day just might keep the heart doctor away! So what is the difference between milk chocolate and dark chocolate? Dark chocolate contains little to no extra sugar and a larger quantity of cocoa (60 percent or more). 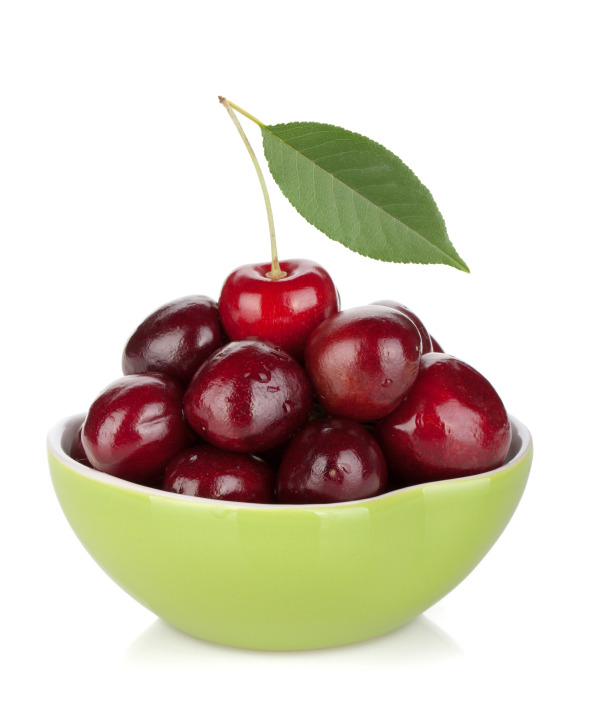 This increases the amount of flavonoids; therefore, there are more antioxidants present. Since milk chocolate contains milk, along with added sugar, the flavonoids are at lower levels due to a possible interaction with milk. This leaves dark chocolate healthier. By choosing dark chocolate, you can also reduce the risk of blood clots, improve your mood, and help lower cholesterol levels. It’s recommended that you choose chocolate that is at least 60 percent cocoa and consume only one ounce per day, which is equivalent to about one piece of Dove chocolate or 2 Dark Hershey Kisses. Forget the white chocolate; it contains no cocoa, so it provides no antioxidants for the body. As hard as it might be, consume chocolate in moderation and don’t overindulge. With all this chocolate talk, what chocolate treat do you prefer on this chocolate lover’s holiday? Leave a comment on our blog or visit the NIFS Fitness Management Facebook page and take our poll. 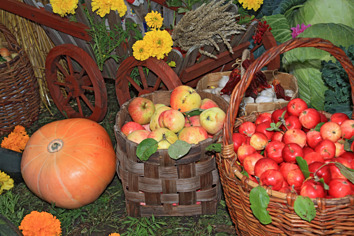 Nothing brings about that glorious feeling of fall like crisp air, sunny days, brilliant foliage, football, apple cider… and all foods pumpkin! The type of pumpkin that is generally best for consumption is that which comes from a sugar or pie pumpkin; Libby’s brand specifically uses the Dickinson variety. However, your jack-o-lantern is certainly good for something: its seeds! Roast them in some olive oil and seasoning and enjoy. They contain healthy fats, protein, fiber, zinc, magnesium, and iron. For unique ways to sneak pumpkin into everyday foods to make them healthier, check out these ideas. 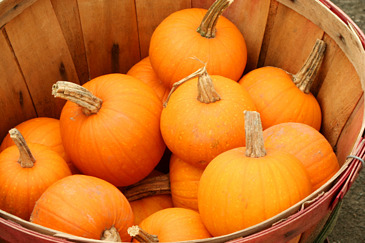 And try these healthier pumpkin recipes that are perfect for a fall day.